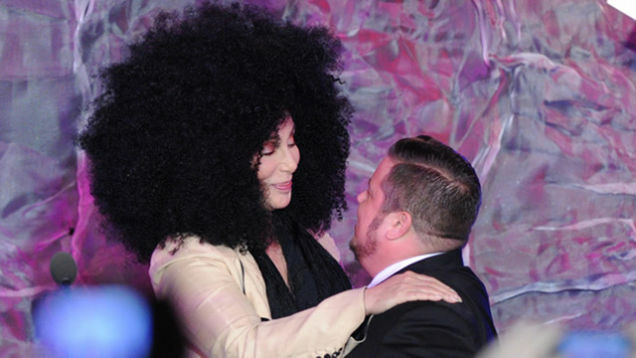 Last night, Cher presented her son Chaz Bono with GLAAD's Stephen F. Kolzak Award, and it was kind of amazing. Bono was also honored for the documentary Becoming Chaz, which chronicled his transition from female to male. 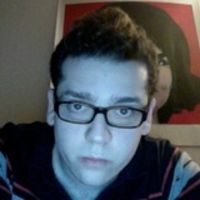 In the film, Cher admitted some difficulty thinking of Chaz as a man after watching him grow up as a woman. This delightful picture of Cher (and her hair) embracing Bono is a nice reflection of how far they've come. Other winners at last night's GLAAD Media Awards include The Hunger Games' Josh Hutcherson, who was honored for founding the LGBT ally organization Straight But Not Narrow. Modern Family beat out Glee for Outstanding Comedy Series — side note: Glee is not a comedy — and Beginners won Outstanding Film. Rightfully so: it was pretty damn great.